Two of Hip Hop’s greatest are doing their best to help victims of Japan’s earthquake and devastating tsunami with celebrity charity initiatives. Snoop Dogg has designed a T-shirt to benefit those affected by the disaster in Japan, with profits going to Operation USA. 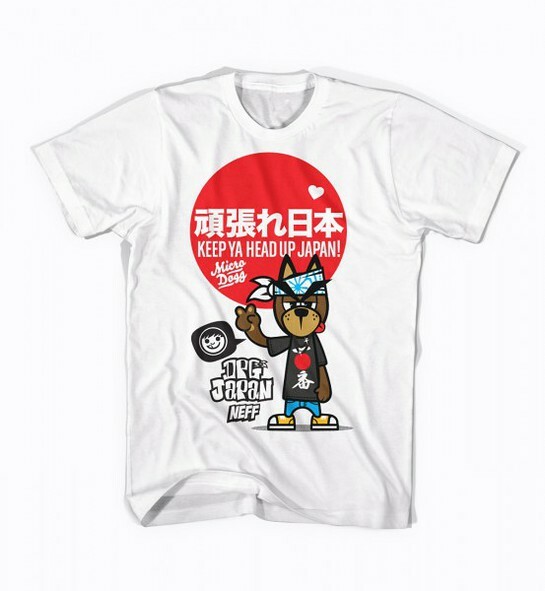 Snoop and Neff Headwear have designed a Japan relief t-shirt “Snoop Dogg x Neff Japan Tee”, in which all profits will be donated to Operation USA, an international relief agency that helps communities at home and abroad overcome the effects of disasters. Each “Snoop Dogg x Neff Japan Tee” will sell for $20. The Tee is available here. Singer/songwriter Ne-Yo has visited Japan to help raise money for victims of the disaster that has shaken the country. He played several shows in the country this week to benefit victims. Watch footage of Ne-Yo in Japan here.